December 16, 2015: Add a listing for Trade12 Ltd.
Anch’io ho parlato con loro e non ho avuto nessun problema. Anzi il ragazzo mi disse che se non ero pronto, loro facevano anche un corso di formazione prima di cominciare. Poi a seconda delle somme che vuole guadagnare decide anche la somma del suo deposito. Perche’ se uno vuole avere un guadagno alto, non lo puo’ raggiungere facendo un deposito di 100 euro. I got an offer from them to start trading and have a bonus of 100%. I don’t know how they knew that I’m interested in trading but however I left an appointment for next week. I have also read something in the forums and most of reviews were positive and most of people think this is a reliable broker. They offered me to start trading with their company but it’s an unknown thing for me so I asked for a little time to get some information and told the girl to call me next week. The first impression was good because the consultant was too kind. I’m getting information because there are a lot of sites that write for them. If I start with them I’ll do it with a small amount to try their service first. I’ve trusted my savings to this broker and until now I’m not disappointed. In 6 months of trading I’ve had a stable income of 10% of my deposit. I’ve been operating only with my account managers suggestions but now that I have some more free time I’ll start studying the markets and raise the number of the operations. Maybe I’m lucky but until now trading has really been a gaining possibility for me. Ho avuto a che fare con molti broker e molti soffrono la parte della regolamentazione come se essa fosse l’unico indicatore che attribuisce ad una società di brokeraggio la correttezza o l’affidabilità. Beh, la storia ha mostrato che almeno in Italia molte società regolamentate sono quelle meno affidabili in assoluto, anzi lo scandalo ha coinvolto anche le banche molte volte. Io personalmente opero con la trade12 e posso dire che anche se non ha la licenza consob è più che corretta e mi dà la possibilità di avere l’assistenza di cui ho bisogno e posso prelevare tutte le volte che voglio. When I opened the account with trade12 I deposited only 100 euros because I was not sure if it was a serious broker, so I didn’t want to risk losing a large amount of money. Now, after almost a year, I find myself having a 4 zero account despite having requested some withdrawals. I operated almost every day with the help of my account manager who was also good at explaining me how to read the charts and making me understand how to create a strategy for each operation. I also had unprofitable operations that sometimes made me lose a lot, but understanding that the financial market is not always stable is the key of trading. This means being a good trader. If you are patient and ready to risk something, everything is possible. Trade12 has offered me what other brokers have not, the assistance. I’m not talking only about the signals or tips that any broker can provide but I’m talking about helping you understand the operation, try to make you learn what the financial markets are and tell you not to invest in a risky operation because you’ll lose (something almost nobody does because they are only interested in their earnings). I like the way they work and make you feel important to them, that they don’t just want you for a short time but for a long time, because the more you earn, the more they earn. There is a mutual benefit guided by a simple rule: Money generates money. So, they earn their share. When I talk to my account manager I don’t hear just numbers, but also support to move on when things don’t go as expected. Losses happen even in real life, so it’s pointless to search for the ‘safe gain’ because you never will. I’m glad that I found this broker and my account manager who treats me more like a friend rather than a customer of the company. Trade12 è stato il primo broker per me. Ho iniziato circa 9 mesi fa con loro ed ho operato per 5 mesi. Era un broker che non mi ha fatto riscontrare problemi e mi ha fatto guadagnare molto in quei mesi. Poi ho cambiato seguendo il consiglio di un mio amico. Con il broker con cui opero attualmente ho dei guadagni ma mi creano problemi con li orari in cui chiamano. Spesso il mio account manager mi chiama a ora pranzo ma io li ho sempre detto che voglio essere chiamato il tardo pomeriggio siccome lavoro fino alle 6, ma lui mi dice che ha altri clienti a quei orari che li sono stati associati prima di me e non può cambiare gli orari. Ho fatto anche una richiesta di prelievo con loro ma me lo stanno ritardando più di 2 settimane e non vedo nemmeno una soluzione in vista per questa settimana. Credo proprio che quando mi faranno prelevare inizierò di nuovo ad operare con trade12. Lì avevo un’assistenza maggiore e nessun problema con le tempistiche dei prelievi. Io ho proprio avuto fortuna nell’imbattermi con loro. Era da tempo che cercavo una società affidabile la quale mi poteva garantire sevizi come l’effettiva possibilità di prelievo e anche di avere gli adeguati segnali di trading per facilitare il fattore tempo, visto che in passato dovevo passare il tempo a cercare e ricavare le informazioni da solo. I have operated with different brokers since I started trading but none of them was able to satisfy me. With some of them I had constant problems withdrawing and with the others the account managers were absent most of the time. I’ve faced unprofessional people too that I can’t understand how they have been hired to give consultancy. However, fortunately, I’ve never encountered these problems with trade12. My account manager has followed me from the first day I opened the deposit and has always advised me what to do by sending daily signals. I can’t say that all the operations that we did were profitable but most of them were for sure. Even with the withdrawals I haven’t had any problems. They haven’t given me any reason to change them as other brokers have. Ho avuto anch’io i miei alti e bassi con trade12. Con il mio account manager sono nati diversi piccoli problemi ma comunque si sono risolti in breve tempo. Tanto alla fine non si può pretendere che tutto vada liscio. Con loro è da circa 5 mesi che opero ed a quanto riguarda le questioni che sono più delicate come i prelievi o i segnali e l’aiuto dei consulenti non ho mai avuto problemi. Posso comunque consigliarlo come broker perché è il migliore che io abbia provato fino ad adesso. I’m a customer of trade12 and I’m trading with them for 6 months. Speaking about my experience i might say that the start was a little difficult because I had never done this thing before, but the account manager made me understand how trading works. I’ve seen the comments below that are worried about the withdrawals but I have withdrawn twice and with no issues. I’m glad until now and this is the most useful service I’ve received by any broker. I’ve had some bad moments with this broker but nothing compared with the previous one. Apart these little drawbacks, everything else seems fine. After I made my deposit I received my bonus as promised, the consultants are really professional and there is a good profit. My consultant is reliable and always sends me signals about profitable operations. We stay in touch all the time via skype. 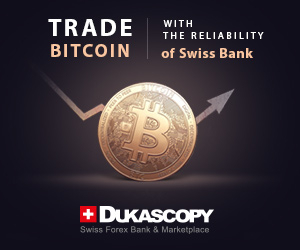 It feels good to trade with this broker as my previous broker were all unreliable. Help, my withdrawal request is being ignored by this broker !!!!! Effettivamente oggi e stato un giorno abbastanza profitevole. Il consulente mi aveva gia avvisato e abbiamo concluso alcune operazioni positive grazie alle elezioni USA. Infatti e solo da 4 mesi che faccio trading con loro ma si vede che sono professionali, spiegano tutto con pazienza. I’ve had different experiences with other forex brokers and I’ve had the possibility to know some of them. I’m trading with this one for 3 months and from what I’ve experienced till now they are correct, polite, kind and informed. Their signals have alwas made me gain until now. Been with these guys for 6 months and I have to say its one of the better Forex brokers out there. Thumbs up on my side.. By the way if you need any help with your account just send them an email and they’ll answer you within 12 hours. 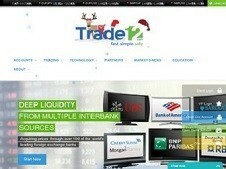 I have been trading with some brokers in the past years and never felt the facilitation you get at trade12. Starting from the bonus, the kindness of account manager and customer support, excellent platform and low spreads. For the moment I’m trading by myself, sometimes I ask for the account managers support and he never fails to make me gain. Have been trading with this broker for a while and I’ve seen a lot of benefits. However the most important thing is their punctuality in the appointments and the correctness in the withdrawals. As a Muslim trader, it was great difficult to find a regulated trading broker where it is possible to open a swap free account without any kinds of restrictions. By the way, I am very lucky to select Trade12 as my trading broker from where devoid of any kinds of limitations I have opened my Islamic account. And, I have not to pay at any kinds of extra fees at all. So, I am getting all profit that I earn. How’s your experience with Trade12 so far? Any problems to withdraw? Im newbie, hows this year? Still maintains the payment?